Today’s cocktail has the ability to transport you back to the glamour of pre-revolutionary Cuba with just one sip. It is, of course, the Daiquiri! Let’s get the bad news out of the way first: the invention of Cuba’s national drink is usually attributed to an American! The man in question was a certain Jennings Cox, a mining engineer based in the south of the island, near Santiago de Cuba. It was the early 20th century, and one day he was entertaining some friends when he ran out of gin, the drink Americans usually drank. Rather than let his party break up early, he mixed lime juice, sugar, ice and water with the local rum, Bacardi, a light, smooth style of spirit that proved ideal for cocktails. With winning modesty, Cox named his concoction not after himself but after the nearby beach, Daiquiri. Or so the story goes; I am sure that the locals were probably drinking something not dissimilar already. This early Daiquiri doesn’t sound so different from a rum punch, a drink ubiquitous across the Caribbean, or indeed that old Royal Navy drink, Grog, a mixture of rum, lime juice, sugar and water, designed to keep sailors soberish and scurvy-free. It was in Havana, however, that the drink became something a little more sophisticated. The barman at La Floridita, Constantino Ribalaigua (born in 1888 in Catalonia), shook the ingredients with ice and then strained the mixture into a cold glass to create… well, it’s sour, isn’t it? Yes, a Daiquiri is simply a sour made with rum. Nevertheless, the Daiquiri became legendary, perhaps due to the famous people who drank it. Hemingway, a regular at La Floridita, was a fan. He had a special one prepared without sugar because he was diabetic. It was also a lot stronger. During Prohibition, Havana became a playground for Americans: F. Scott Fitzgerald, Ava Gardner and Frank Sinatra were all seen knocking back Daiquiris. The in-crowd drank at the art-deco Hotel Nacional, which opened in 1930. With American celebrities came American criminals; the Mafia poured into Cuba in the 1920s and ‘30s, and Cuba’s capital city became notorious for vice, gambling and corruption. Emilio Gonzalez at another Havana hotel, the Plaza, came up with the idea of using a blender, a new invention in the 1930s, to crush up ice and fruit to create the frozen Daiquiri. Without Gonzalez’s refinement the greatest drinks conversation in cinema could not have taken place. In The Godfather Part II, the Corleones are in Havana indulging in some vice, gambling and corruption. Alfredo Corleone asks his brother, who he has betrayed, “How do you say Banana Daiquiri in Spanish?”. Michael Corleone replies, “Banana Daiquiri”. Nowadays the standard Daiquiri in Havana is frozen; if you want an old-school version you have to ask for a Daiquiri Naturale. The beauty of the Daiquiri is that it is so adaptable: you can use different types of fruit and rum, you can adjust the sweetness, and it can be frozen or merely cold. My own favourite variation is the Daiquiri Mulata, made with dark rum and a coffee liqueur, but this week, I’ve kept it classic with a Havana Club 3 Year Old. Finally, it’s worth double straining to remove any bits of ice and lime pulp. Shake ingredients with plenty of ice and double strain into a chilled Martini glass. Serve with a wedge of lime and an anecdote about Papa. Rock, rye and Bristol – that’s what The Nightcap is about this week (among other things. There are many, many other things, too). Time to dig in! Spring is here…. Rock, rye and Bristol – that’s what The Nightcap is about this week (among other things. There are many, many other things, too). Time to dig in! Spring is here. Kinda. Meteorological spring has been here for a while, but astronomical spring is kicking off next Wednesday. Also, the weather has still been a bit grim. We’re in a bit of a weird mini-season, which we’re going to call wing, partly because it’s the words winter and spring smooshed together, and partly as an homage to Wings, the band The Beatles could have been. Anyway, kick start your wonderful wing weekend with our weekly round-up of booze news – it’s The Nightcap! Here’s what has been happening on the MoM Blog this week. Our Annie chatted to Knappogue Castle Irish Whiskey’s Tony Carroll and then showed off our Cocktail of the Week – The Shallow Negroni. Henry started up a new weekly feature for the blog focusing on exciting new arrivals at MoM Towers, and then did a spot of reading (whiskey-related reading, of course). Kristy caught up on all things Irish whiskey with Irish Distillers master blender Billy Leighton, and had a look at the plans for Gordon & MacPhail’s upcoming distillery. Adam then checked out the new series of photogenic whiskies from Berry Bros. & Rudd. Good stuff all around. Now. On with the news! Will Pernod Ricard follow in the footsteps of Diageo and sell its wine brands? Is Pernod Ricard about to sell its wine brands? This week, we’re kicking off The Nightcap by dipping our toes into the world of reports, speculation and rumour – but if true, this development could significantly shape the structure of the global wine industry. On 13 March, Bloomberg reported that Pernod Ricard, best-known perhaps for its Jameson, The Glenlivet, Beefeater, and Havana Club spirits brands, is thinking about selling off its wine division. Why is this significant? Because its wine portfolio includes the likes of Jacob’s Creek and Campo Viejo, some of the biggest wine brands in the world. Pernod Ricard itself is tight-lipped, but if it does decide to sell up, it wouldn’t be the first spirits-maker to sharpen its focus on spirits by sacking off the wine. In 2015, Diageo offloaded its Chateau and Estate wine brands to Treasury Wine Estates, and in 2017, Campari Group sold off the Château de Sancerre winery, its final foothold in wine. Will Pernod Ricard follow suit? We’ll have to wait and see – probably with a glass of wine in-hand. If you’ve had one eye on UK politics this week, you’ll know there’s been a right load of drama. Votes left, right and centre, rebellious MPs, and more confusion than how and why Stonehenge was built – it’s been a palaver and a half. One group who have some sort of handle on what it all means for drinks is the Wine & Spirit Trade Association (WSTA). On Wednesday, the day after Theresa May’s deal was thrown out (again), Miles Beale, WSTA chief exec, said the drinks trade faced “deeper uncertainty, and for longer”. He continued: “We welcome the decision that there would be a temporary suspension of tariffs on wine and most spirits under ‘No Deal’,” adding that more action was needed to keep the booze industry flowing. He was in chirpier spirits on Thursday though, when he said the WSTA was “delighted” to see ‘No Deal’ off the table. But is it actually? Beale said it was “imperative” for the government to pass emergency legislation before 29 March, the UK’s current leaving date. Still confused? Us too. “The wine and spirit industry still lacks clarity as to what the trading landscape will look like when we do leave the EU,” Beale continued. Can we have some of that clarity too, please? Aber Falls distils Wales’s first rye! Rye whisky fans, we bring you glad tidings: Aber Falls has distilled its first ever rye whisky! It seems that Aber Falls is a distillery of firsts, as it is also the first whisky distillery that North Wales has seen for over 100 years. The distillery has been producing new-make malt spirit for just little over a year, since January 2018. Of course, the rye whisky will only be available from 2020, once it’s mature. Though it appears rye is the first of many plans, as the distillery is aiming to put itself on the world whisky map, building a portfolio fit for the next 20 years. Innovation is key to the distillery and James Wright, managing director at Aber Falls stated that this addition of a rye whisky “allows us to bring into the fold whisky drinkers beginning their journey of experimentation”. For both new and seasoned whisky drinkers, this is fantastic news from those Aber Falls folks. When Japan’s Suntory Holdings snapped up US-based Beam, Inc. in 2014, it was a very stark union of East and West. And this accord is now playing out in actual whiskey! Behold Legent (pronounced ‘lee-jent’), an unusual bourbon developed jointly by Fred Noe, seventh-generation Jim Beam master distiller, and Shinji Fukuyo, the chief blender at Suntory whisky, and only the fifth person to ever hold the role. Legent starts life as a Kentucky straight bourbon made with a classic Beam recipe. It’s then aged in wine and sherry casks, before being blended with more straight bourbon for a “perfectly balanced yet complex and layered” tipple. Takeshi Niinami, Suntory Holdings CEO, described the expression as “the perfect articulation of the amazing things that can be achieved when two great cultures come together as one”. We’re intrigued – but might have to wait a bit to taste it. Legent is due to land a MoM Towers later this year. You want innovation? The team at Circumstance Distillery in Bristol has it coming out of their ears. Not content with offering pre-sales with their very own cryptocurrency, the team is now pushing the envelope with the first release. Called Circumstantial Barley, it will be made from 100% British malted barley. Doesn’t sound so crazy does it? The interesting thing is the fermentation process. In addition to distillers yeast, the team is using a French saison beer yeast, and the whole lot ferments for nearly two weeks. Most distilleries are all done within two days. The resulting wash is packed full of flavour. It’s then put through a short column still and, according to head distiller Mark Scot, aged for “six months on a combination of charred bespoke oak spindles and first-fill bourbon casks”. The result? “A beautiful raw spirit, and our short ageing techniques allows the quality of the raw spirit to shine through,” he continued. Co-founder Danny Walker added: “We have thrown out the rule book and are focusing on flavour over tradition and experimenting with every step of the process to make a ‘new world’-style spirit.” It will be bottled 45% ABV and cost £44 for 700ml bottle. Circumstance has a rye and an “unashamedly funky” (who is ashamed of being funky?) white rum in the pipeline. We want to try them all! Those barley- and terroir-obsessed Waterford folks are at the grain experimentation game again – this time with a spirited outcome! This week the distillery successfully distilled 10,000 litres of spirit – 50 barrels-worth – from a barley varietal that’s not been available to distillers for 40 years. The grain in question is called Hunter, named after a chap called Herbert Hunter who worked in barley breeding at Ireland’s Cereal Station (cool name, vital work). Hunter (the barley, not the person) was introduced in 1959, but was last used in 1979 when it fell out of favour as other strains provided better yields. So why bring it back now? It’s all part of efforts, led by the Waterford team, to take a flavour-focused approach to barley selection, rather than solely focusing on how much booze it generates. “Contrary to what much of the industry is telling drinkers, flavour starts with the grain and the terroir in which it’s grown,” said Neil Conway, Waterford’s head brewer. “Hunter is an old favourite, a very successful variety, so much so that it dominated for 20 years. That’s why we’re working with Minch Malt and our growers – we’re on the hunt for profound sources of flavour, even if that means going back decades to find these forgotten treasures.” Good luck to them! The Hunter development at Waterford follows the production of the ‘world’s first’ biodynamic whiskey at the distillery last year. We knew that whisky was fashionable, but combining whisky and fashion? That’s new! Scottish menswear designer Kestin Hare has joined forces with BenRiach distillery for his Spring Summer 2019 Collection! It features five different garments inspired by the whisky itself, the Speyside landscape and architecture of BenRiach distillery. The clothing has been dyed with peat, each shade representing a different aged single malt from BenRiach. Peat isn’t the only influence for the collection; inspired by the whisky casks themselves, Hare created a digital print that reflects the colours and patterns seen on the wood. What’s more, the pieces are fully functional for a trip to Speyside! They’re made from water-resistant fabrics inspired by golfing and fishing garments, while the colour scheme, full of golden sand, grass green and peaty tones, is sure to help you blend into the natural surroundings. Or camouflage into a wall full of BenRiach whiskies. It’s up to you. The SS19 collection can be found in store, online and in selected global retailers from today. Congrats to Francois Badel and Aldrick John Baptiste! How’s that for a title – Mai Tai Champion? Well, we now have two new ones following the conclusion of the Chairman’s Reserve Mai Tai Challenge 2019. What is such a challenge? The Saint Lucian rum brand whisked a whole host of talented bartenders to the island’s Rodney Bay (aka, paradise) to put them through their paces. This was after heats in France, the UK, Ireland, Spain, Portugal, Greece, Switzerland, Canada and the US, so we know we’re dealing with the world’s best here. Each bartender was then paired up with a local St Lucian bartender to collaborate on creating an incredible original Mai Tai-like serve using local ingredients and Chairman’s Reserve as a base. Each pair then had to present their creation to a panel, demonstrating the culture of St Lucia at the same time. And France’s Francois Badel and St Lucia’s Aldrick John Baptiste were named champions! “I was taken aback by the passion these skilful bartenders had for Chairman’s Reserve,” said Margaret Monplaisir, St Lucia Distillers managing director. “Their attention to every detail, their enthusiasm, and knowledge of Chairman’s Reserve was remarkable.” Mai Tai, anyone? On that note, have excellent weekends, folks! As part of a new series on the blog, we will be highlighting new bottles that we are particularly excited about. To begin with, here is a delicious Bayan rum with a French twist. I know we’ve said it before but it’s worth reiterating, rum is going to be the next single malt whisky. It might be taking longer than we first thought but the quality is there and prices compared with the whiskies from Scotland, America and Japan are very friendly (at least for the time being). At the moment, most rum sold is a blend of distilleries, islands and even countries, but gradually drinkers are waking up to single distillery offerings – the rum equivalent of single malts. Just as in Scotland, independent merchants play an important role, tracking down, buying and bottling rare spirits. Which brings us on to this week’s new product from the Plantation range. This company bottles rums from around the Caribbean: Jamaica, Trinidad and this little beauty from Barbados. It comes from the West Indies Rum Distillery. You’ve probably never heard of it but you’ve almost certainly drunk something made there. Spirits distilled here go into big names like Cockspur Five Star and Malibu. Alongside such familiar faces, the distillery also produces more upmarket rums which are sold under a myriad of labels. If your rum is from Barbados, it’s probably distilled here, at the famous Mount Gay distillery, or at Four Square, which is owned by a great rum family, the Seales. There is also the tiny St. Nicholas Abbey Distillery. Barbados has a rich rum history. It’s the island where the word ‘rum’ (a contraction of rumbullion, meaning a fight or a disturbance) comes from, probably. It’s also where rum evolved from a rough borderline poisonous spirit drunk by slaves and indentured labour into something to rival Cognac. The Mount Gay distillery dates back to 1703; the West Indies Rum Distillery is more recent being founded in 1893. Four Square is the baby of the group, it began distilling in 1996. The Plantation range and, since 2017, the West Indies Rum Distillery are owned by a French company, Maison Ferrand (the people behind Pierre Ferrand Cognac and Citadelle Gin). And the influence of the parent company certainly shows in the 2002 Plantation Barbados rum. It’s made from a blend of pot and column still spirits (heavier and lighter rums, respectively) which were distilled in a single year, 2002. It spent 12 years on the island maturing in ex-bourbon casks. The heat of Caribbean leads to rapid ageing. Then it was transferred to former Cognac casks and matured in the cool of the Cognac region in France before bottling. You’d be hard-pressed to find a whisky with this kind of maturity for under £50. This is just the kind of thing that gets us lovers of dark spirits a bit hot under the collar. The unusual two climate, two wood ageing process has produced a rich elegant rum with notes of toffee, fruitcake, vanilla and cigars. It’s delicious neat but, I think, even better in a rum Old Fashioned, just add a little sugar, ice and bitters. Whisky lovers, what are you waiting for? Rum lovers, we probably already had you at ‘Plantation’. Over the last month or so Meehan has been hitting up European cities with his molasses hat on to present a series of bartender education workshops rather aptly named Please Do Tell. Having released his most recent cocktail tome last year – titled Meehan’s Bartender Manual – Meehan hosted bartenders in Berlin, Munich and Amsterdam at Fragrances, Les Fleurs du Mal and Roses respectively, sharing the brand’s story along with his bountiful bartending expertise together with European Banks ambassador Alison Bartrop. At each venue, the bar manager – Peggy Ka at Fragrances, Henning Neufeld at Les Fleurs du Mal and Max Prins at Roses – prepared a selection of cocktails (one being a punch) with Banks 5 Island and Banks 7 Golden Blend, which were served during the sessions. I imagine there’s no greater satisfaction than seeing bartenders channel their creativity into a spirit you’ve built from the ground up. In terms of his own personal evolution behind the bar, Meehan uses the same creative approach as influential bands such as Radiohead and the Beatles. “These bands and their sound changed and evolved dramatically from record to record as they changed personally and collectively,” he explains. As well as the cultural, technical and historical aspects of drink-making, Meehan’s Bartender Manual also focuses on the practicalities of bartending. With the back-breaking labour and unsociable hours bartending demands, it’s hardly sustainable as a long-term career. “I tended bar full time for fifteen years, and found the physical and emotional fortitude required to perform the job at a high level grew exponentially in my late thirties, especially when my wife and I had our first child,” says Meehan. “We need to stop looking at people like Charles Schumann, Julio Cabrera or Murray Stenson as anything other than gifted outliers in our industry. So, how will bars 100 years from now look, feel, and operate compared to today? Meehan addresses this question the design chapter of his book. “The assets needed to operate a bar – tables, chairs, mirrors, a physical bar – haven’t changed much over the last century,” it reads. “This should come as little surprise, as the primary function of a bar or restaurant – to sate thirst and hunger in a communal setting – hasn’t changed either. We join ADI for the Judging of Craft Spirits! No Comments on We join ADI for the Judging of Craft Spirits! What’s it like to lead a panel at one of the world’s most renowned spirits competitions? Our editor Kristiane Sherry reports back from Tiburon, near San Francisco, after taking part in the American Distilling Institute’s 2019 Judging of Craft Spirits. The skies are always blue in Tiburon. At least it seems that way when the American Distilling Institute (ADI) crew is in town. The cluster of impeccable houses directly across the Bay from San Francisco is peppered with independent restaurants, bars and quirky stores, sandwiched between the water and the dramatic Northern California hills. It’s relaxed, the air is crisp and clean, and it exudes a laid-back elegance. In short, it’s the perfect place to taste spirits. I was thrilled last June when I received an invitation to join ADI’s Judging of Craft Spirits. The annual event celebrates excellence in distilling, with entries open to those who produce less than 750,000 litres of pure alcohol a year (although in reality, most participants make waaaayyy less than that). 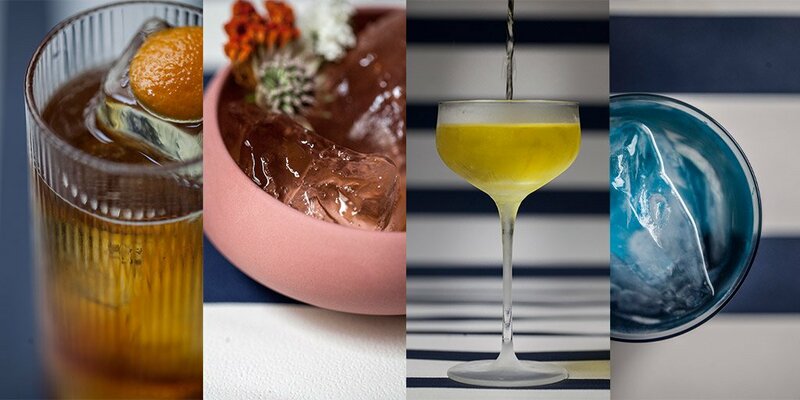 Both American and international distillers take part, and the spirits span almost every category you can think of: whiskies, gins, rums, agave spirits, vodkas, liqueurs, brandies, plus ready-to-drink cocktails, fortified wines and more! The result? Hundreds upon hundreds of spirits to be assessed, an army of stewards, a team of organisers and administrators and judges galore. And I was more than happy to lend my palate. I arrived at The Lodge at Tiburon on the Sunday afternoon, set for a series of briefings. After the warmest of welcomes from Eric Zandona, ADI’s director of spirits information, and David T Smith, lead steward, we got to grips with a practice flight of vodkas, a palate-aligning exercise, if you like. Everything was poured in a back room, brought through by the amazing stewards and identified only by a code on a label on the stem of a glass. It was 100% blind and tip-top secret. And it immediately became apparent just how rewarding evaluating each sample with my fellow judges would be. Distillers, bar consultants, writers, bartenders and more, from across the US and beyond. The volume of collective expertise in the room was incredible. Roll on the three days of judging! I can’t disclose exactly what we judged or what panels others were on, but I will say for the first two days I chaired panels with a vast variety of spirits. We tasted literally everything. It was challenging at times – some spirits properly split the panel; cue lively debate, much geekiness and an array of views – but each and every spirit was genuinely assessed on its own merits, before the group discussed each one, gained consensus and awarded medals (Bronze, Silver, Gold, Double Gold) accordingly. But this wasn’t just about assigning awards. Each entrant receives detailed written feedback, so every judge was required to write up their thoughts and provide comment, constructive criticism and encouragement. This wasn’t just about tasting – a significant amount of work went into this evaluation aspect. It’s easy enough to say that you do or don’t think a spirit is at a certain quality level – but you must also give the reason why. And delving into the ‘why’ with so many genuine experts made for a thoroughly rewarding experience! Day Three took on an entirely different flavour. First up, I joined a review panel; here, spirits which had some discrepancy in their scoring (David T Smith and crew use a handy algorithm to see if a panel of judges’ scores were especially variable) were re-tasted to ensure an absolute fair hearing, and other outliers were given a second bite of the cherry. This is where things got really interesting. The discussion got even geekier, and every aroma note, flavour, texture and feeling was unpicked, along with how it got there, and whether or not it should be. By the end my mind and palate were both exhausted – but happily so. Then it was time for the grand panels! Every spirit awarded a Gold or Double Gold medal was re-tasted to find the best in category. And wow! This was A Treat (capitals intended). Imagine getting to taste the best of the best craft spirits in the world. Yes, it was still serious decision-making, but the smiles on my fellow judges’ faces as we worked our way through the flights said it all. These spirits were GORGEOUS (capitals really intended here). And it was a privilege to get to pick out the very finest. So, what were the highlights? What were the key learnings? Well, the Judging of Craft Spirits results haven’t been announced yet, so consider these lips sealed. But there was a big difference between judging a competition solely focused on craft spirits compared to other panels I’ve sat on. Why? The level of experimentation was off the chart. So many producers were trying brave and exciting things – sure, the results weren’t always knock-it-out-the-park incredible, but many, many spirits were up there. And it was so exciting to spend time sussing out exactly what’s going on. Then, the overall quality level was a pleasing surprise. In other competitions there might only be one small ‘craft’ sub-category, but here there was wall-to-wall interest and intrigue right across the board. ‘Craft’ has never meant sub-standard or second best, but those myths are now being well and truly busted. Finally, the top highlight? Getting to meet and work with so many incredible people from right the way across the industry, from distillers and production consultants to bartenders, brand ambassadors, writers, journalists and more. Thanks to ADI for an ace few days, and cheers to my fellow judges, stewards and everyone involved for making it so brilliant! Fancy trying your hand (taste buds?) at judging? Give it a go at home with our super-quick guide! • Start clean. It sounds super simple, but make sure your palate is clean (water is essential! ), you’re not wearing fragrance and you’ve not used especially aromatic soap. ADI gave us fragrance-free soap for the week so the tasting room was as neutral as possible. • Go slow. Take your time. If you’re assessing a spirit you’ll want to look at its appearance, nose, palate and finish. This can take a good while. Don’t rush, take your time and enjoy! • Look back. Aromas and flavours in a spirit can be traced back to loads of production factors. Think about how your spirit was made. Raw materials? Processing techniques? Post-distillation finishing? Is what you see, nose or taste consistent with this? Consider these points to help you evaluate your spirit. • Spit it out. Got loads of spirits to taste? Don’t be afraid to use a spittoon. And sip, don’t gulp (obviously). On a similar point, adding water to a spirit after you’ve first nosed and tasted can make a world of difference when you’re trying to pick out aromas and flavours. • Write it down. Chances are, if you’re taking the time to fully examine what a product looks like, its aromas, flavours, texture and finish, you’ll want to keep a record of it. Have a notepad or laptop to hand so your hard work isn’t forgotten! Talk to bartenders about what’s going to be big in the next year and one word keeps coming up: tiki. So, on-trend as ever, this week we’re looking at the original tiki cocktail, the Zombie! Tiki is the name of the first man in Polynesian mythology, but tiki bar culture owes more to California than Hawaii. The two godfathers of tiki were Don the Beachcomber (aka Ernest Raymond Beaumont Gantt) who opened an eponymous bar in Hollywood in 1934, and ‘Trader’ Vic Bergstrom whose Oakland bar in northern California became Trader Vic’s. Their bars offered a blend of Polynesian-ish decor, Caribbean-esque cocktails and, for some reason, Chinese food – I suppose anything ‘exotic’ would do. They both proved immensely popular and grew into chains. Central to the tiki vibe were cocktails such as the Zombie and the Mai Tai, which combine lavish quantities of rum with tropical ingredients like pineapple, lime juice and grenadine. Both Don and Vic claimed to have invented the Mai Tai (the word means ‘good’ in Tahitian), whereas Don is credited as the sole creator of the Zombie. Don and Vic inspired legions of imitators perhaps because the tiki look is cheap to copy. You just need some tribal masks, bamboo, and grass matts, oh and plenty of rum. Tiki spread across the world in the ‘50s and ‘60s. There can be few cities that didn’t have a tiki bar, there were even whole tiki hotels, and it was common for swinging suburban Americans to have a tiki bar in their basement or garage. Neptune Rum was only launched in 2017, yet it already boasts over 40 prestigious global awards. How did the brand do it? We find out. The name of Richard Davies’ rum brand, Neptune, came to him in a dream. The former hot air balloon pilot, bartender and restaurateur had been struggling to find the right name and angle for his new rum. It seemed too good be true, however. Rum has such an obvious association with sailors (not just pirates, people). Neptune is the Roman god of the ocean. Neptune’s trident is on the flag of Barbados. Davies wasn’t optimistic. Surely somebody had already trademarked it? He was pleasantly surprised when he uncovered, after much Googling and research that began post-dream at 3am, that this was not the case. There were bars. There were cocktails. But there was no Neptune Rum brand. Davies was confident he had stumbled upon something. He consulted with James Molloy, now Neptune’s commercial operations director, who agreed. The two trademarked the name at the end of 2016 and launched Neptune in the UK market in 2017. The Neptune brand was born. Oh hi there! You’ve made it to Friday. Well done. Pull up a comfy chair, pour a dram, and give yourself a pat on the back. But before you go into full weekend mode, we have one final thing for you. Yep, The Nightcap is here with the week’s booziest developments in one super handy digestif! That’s not all. Henry got the lowdown on Dandelyan’s final cocktail menu (sob! ), Annie caught up with New York Distilling Company’s Allen Katz, and we introduced our delicious Black Friday Deals. Oh, and we launched a tiny little thing called Master of Malt Auctions… Phew. Enough for now, though. Here are the other need-to-know drinks stories from the week that was! Brilliant boozes for Bonfire Night! 2 Comments on Brilliant boozes for Bonfire Night! Bonfire Night, or as those who own cats and dogs presumably call it, National Scare the Crap out of My Pet(s) Day, has come around again. This is great news because Bonfire Night is brilliant. Countless fireworks lighting up the sky. Heaps of amazing autumnal food. Plus there are the actual bonfires, carrying that fantastic scent and welcome heat through the crisp night air. For some people, it’s all about the festival atmosphere at parties and displays. For others, it’s all about wrapping up warm and snug at home, enjoying the spectacle from afar. Ultimately, we’re all going to take advantage of another perfectly good excuse to indulge in some spectacular seasonal spirits. Right? For those nodding enthusiastically in agreement, we’ve decided to round up some of the best Bonfire Night boozes and fireside beverages, each with an appropriately smouldering serve. Enjoy! That Boutique-y Rum Company is here! No Comments on That Boutique-y Rum Company is here! Exciting news, rum fiends: That Boutique-y Drinks Company has unveiled its latest collection of independently bottled spirits. We hightailed it up to London to check out the nine inaugural expressions from That Boutique-y Rum Company! At MoM Towers we tend to be fans of small-batch spirits. Single cask whiskies, unusual gins, intriguing Tequilas… Oh yes. So when news reached us that the folks behind That Boutique-y Whisky Company and That Boutique-y Gin Company had snaffled up vats and casks from some of the world’s most thrilling rum producers… Well, frankly, we were beyond excited. And behold: That Boutique-y Rum Company was born! The world of rum is a big, bold, and diverse one. Where to start? With rum expert Peter Holland, off of The Floating Rum Shack, of course. Holland himself helped to create the range, which spans unusual cask offerings, high-ester pot-still delights, and even an agricole-style bottling from Portugal.